bulbNEST is an elegant and compact way to keep light bulbs handy and organized. 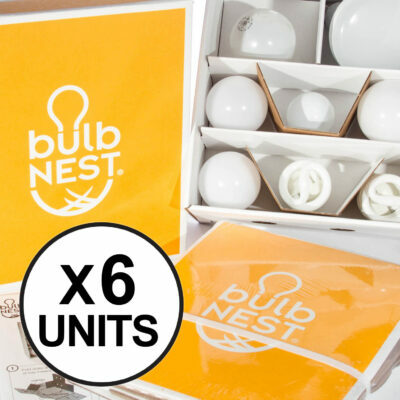 The bulbNEST Classic safely stores 6 standard and 2 spotlight light bulbs. For International shipments, please email us at info@bulbnest.com for special handling. 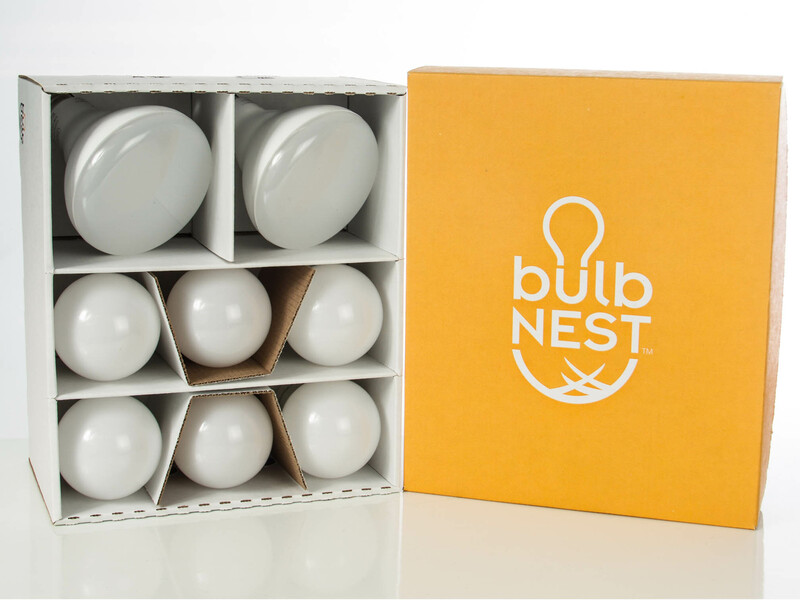 bulbNEST is an elegant and compact way to keep light bulbs handy and organized. 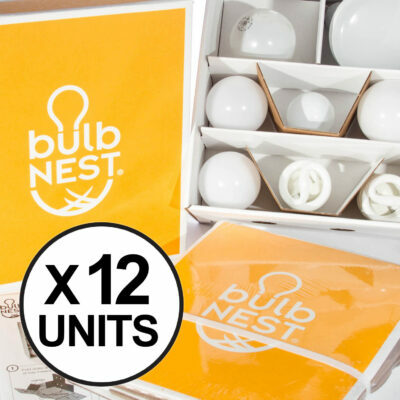 The bulbNEST Classic safely stores 6 standard and 2 spotlight light bulbs. Why hasn’t anyone thought of this before! I picked up one for upstairs, downstairs and the garage! 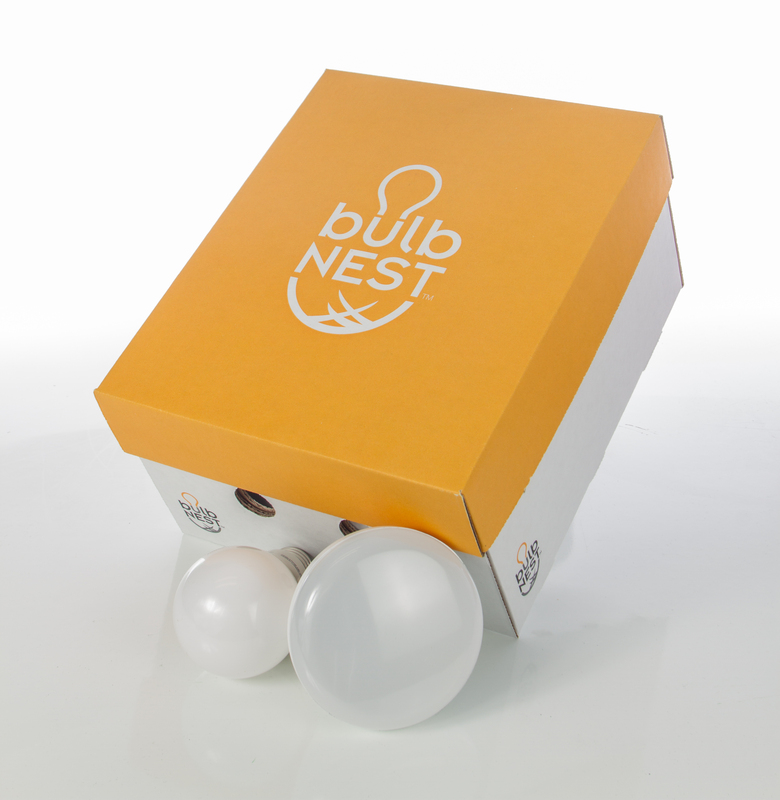 Recently I was introduced to Bulbnest an innovative storage item everyone needs. 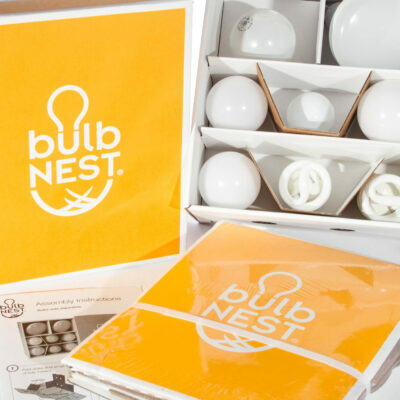 Bulbnest is a colorful yellow storage box specifically designed to hold and protect your supply of indoor light bulbs which are at risk of breaking if handled improperly. 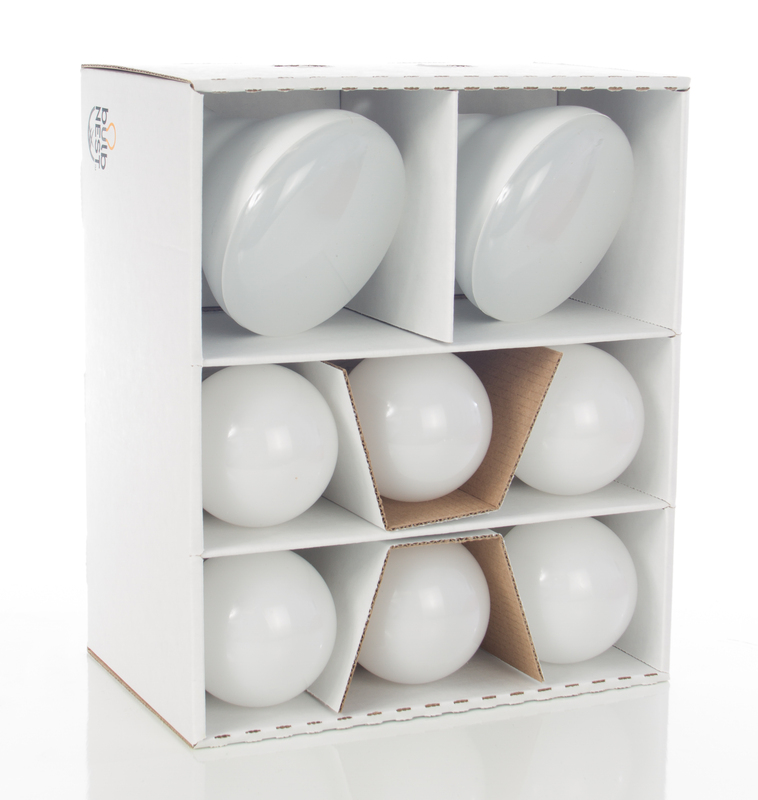 At the same time this clever storage unit eliminates the problem of running out of bulbs when emergencies arise and you suddenly discover you have no bulbs on hand. 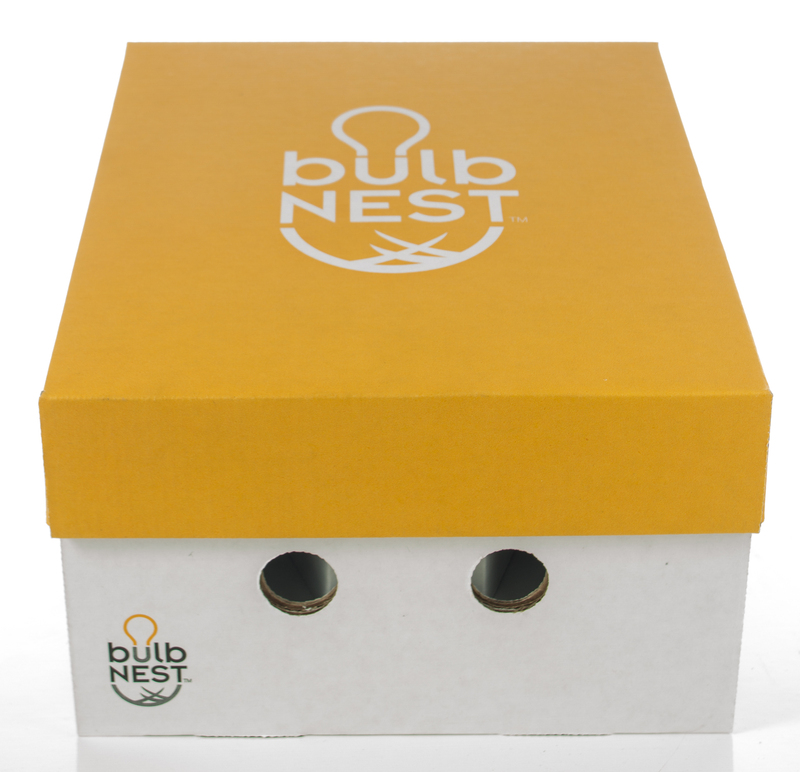 With a Bulbnest box at home it also serves as a friendly reminder to always keep a supply of light bulbs on hand. Bulbnests make wonderful ,novel gifts for everyone at anytime. Got my nest: it’s so cute and fits my bulbs, a variety. Now their all in one place and not banging against each other. Love it so much I just bought a bunch for Christmas gifts. This is exactly what I have been looking for! 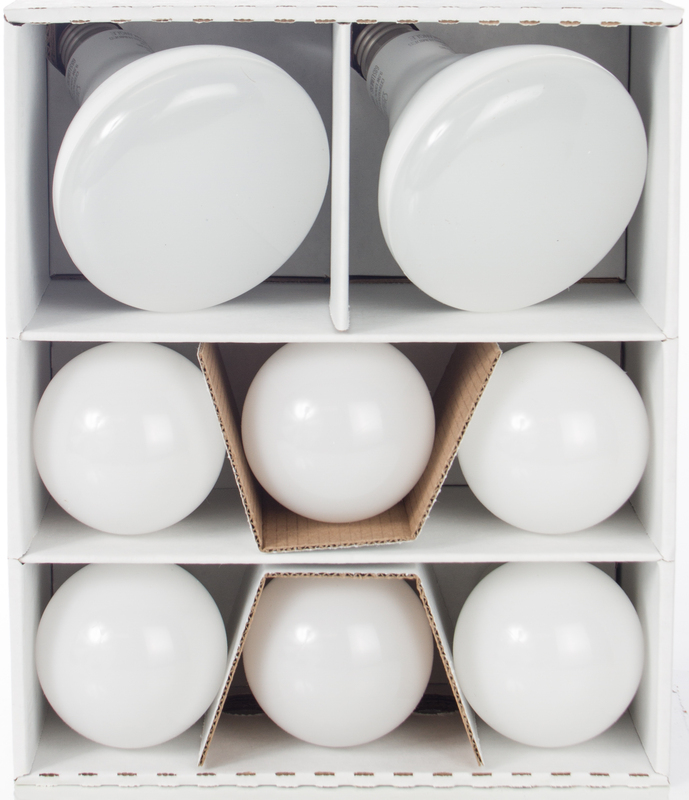 Now my light bulbs are organized in an attractive and sturdy box in my garage. I will be purchasing more as gifts.